Since this is the official "Month of Iceland" here at Mosaic World Travel, I thought I would share my Top 5 list of things to do while you're in Iceland. You know that I L-O-V-E Iceland (and if you didn't know that, then you do now! ), so it's extremely hard to narrow it down to a Top 5. I have my favorites, but I'd love to help you plan a trip filled with the attractions and sights that best fit your interests! Don't head to one of Iceland's beaches expecting sunbathers and beach volleyball. These aren't those kind of beaches. These are brutal forces of nature that are amazing to behold. These are home to waves that are so surprising and strong that if you get too close, they just might sweep you out to sea, never to be seen again. These beaches are not about relaxation, they're about experiencing the raw power of nature. So, if that sounds like your kind of thing, try a visit to Djúpalónssandur on the Snæfellsnes Peninsula in western Iceland. When we visited, we were the only people on this incredible deserted beach for nearly an hour. It was amazing. 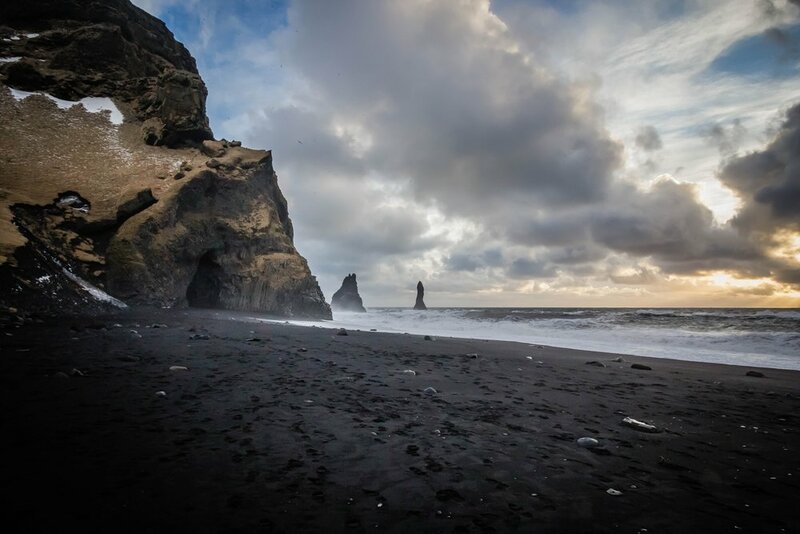 For another type of black sand beach, try the popular Reynisfjara on the south coast, which is home to towering basalt stacks and powerful "sneaker waves." Iceland is home to more than 10,000 waterfalls, many of which are easily accessible from the Ring Road. Gullfoss is an impressive and can't-miss waterfall, usually included as part of the Golden Circle route. At Seljalandsfoss you can walk behind the falls for an impressive view, and you can climb 527 steps to the top of Skógafoss, one of the country's largest falls where you're sure spot a rainbow or two. 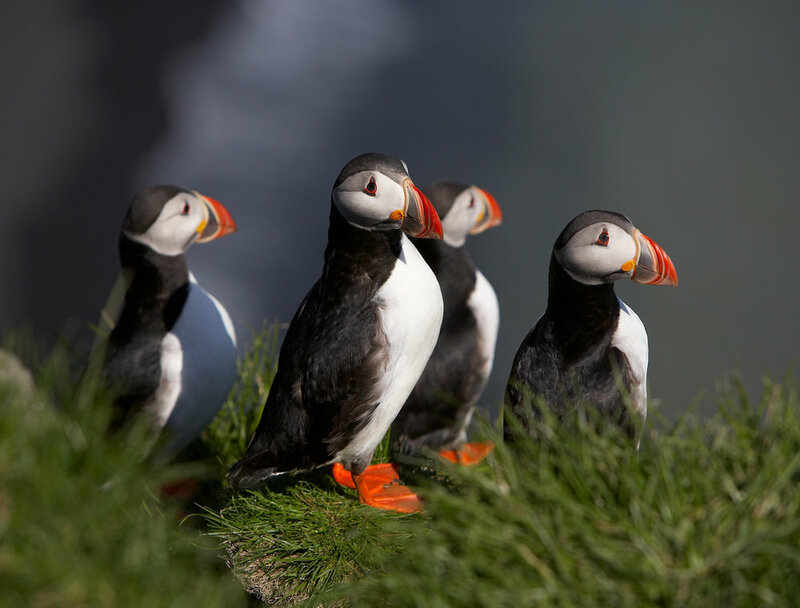 Iceland is home to the world's largest population of puffins, which nest in a number of locations along the coast. Choose a tour that combines an opportunity to view the whales that cruise the waters of Iceland with visits to the top puffin-viewing spots in the country. Tours depart from a number of locations throughout the country, but Húsavík, in the north of Iceland, is considered the whale-watching capital of Europe. Silfra is an amazing diving spot located in Thingvellir National Park. Here, you can dive between the tectonic plates of the North American and Eurasian continents. The plates shift roughly 2 cm every year, creating new caverns and tunnels to explore. There is also plenty of wildlife to see on your dive/snorkel, and the water is the purest in the world, so you can feel free to take a sip while diving. Get up close and personal with the glaciers that cover about 11% of Iceland's surface area by taking a glacier tour. 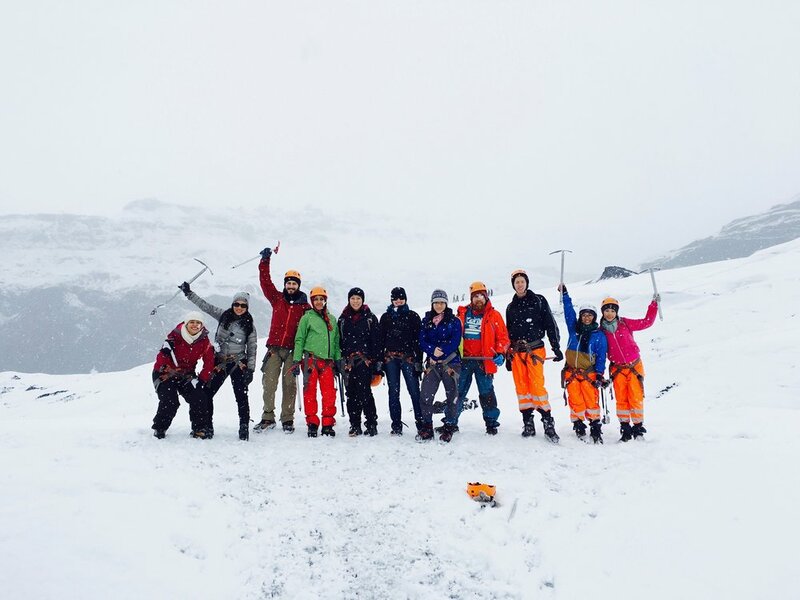 Glacier tours take you hiking, sightseeing and exploring Iceland's staggering ice caps, providing a thrilling means of discovering some of the country's most stunning natural features, such as South Iceland's Sólheimajökull glacier and Vatnajökull glacier. If you'd like to visit Iceland and would like my help building your own unique trip to Iceland, send me a message! CLICK HERE to set up a time to chat on the phone or scroll down to fill out our Travel Interest Survey to start the conversation! Click the image to the left to download your free Iceland travel guide, which will give you some key tips for your next trip!